We’ve come a long way from the days of dialup. We need fast, reliable connections to enjoy video streaming and online gaming. With the average home hosting at least eight mobile devices, we want power. Let’s take a look at these three routers to see which one meets all these demands and more. The RT-N66R (also known as RT-N66U—we’ll get to that in a minute) wireless router from ASUS has been a popular device since it was released a few years back. 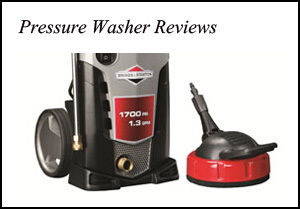 It seems like most owners are very pleased with its performance. Even though it’s not capable of the new 802.11 ac protocol, it’s still a best-seller. You may be wondering what 802.11 ac is anyway and why it matters. It’s an indication of how fast the router (or the wireless card in your device) can transmit data. For example, the ac standard means it’s able to send and receive up to 1300Mbps (megabits per second). Things that came out on the market after 2014, like the iPhone 6, are capable of this speed. Compare that to the top speed of the RT-N66R router, which is the n standard of 450Mbps. Big difference, right? But let’s put it in context. If you have an UltraHD Smart TV and you want to stream 4K video from Netflix, you only need 25Mbps. With 450Mbps, you could stream to more than one device at a time without any problem. Just be sure your Internet provider can keep up with your demands. Meanwhile, you can do a lot more with this router than just stream video. It has two USB 2.0 ports so you can plug in a printer to share and also an external hard drive for backups. Plus, the software on the RT-N66R comes ready to help you share files like documents, photos, music, and films on your home network. It works with FTP, Samba, UPnP, and DLNA. If you want a VPN server, it supports PPTP, as well as pass-through for other protocols. When you have visitors, you don’t need to give out your password for them to connect. Just use ASUS’ simple web interface to set up the Guest Network. The router offers various levels of encryption for your connection, from WEP to WPA2-Enterprise and WPS. If you have children, you can setup Parental Controls to filter access. If you’re concerned about being hacked or becoming a victim of a Denial of Service attack, the router’s software is already programmed to protect you. Of course, upgrading your firmware is important, too. Let’s go back to speeds for just a moment. The RT-N66R has both 2.4GHz and 5GHz radios and supports a/b/g/n standards for both older and newer devices. It also has four Gigabit Ethernet ports so you can wire in your game consoles or TV for even faster speeds. 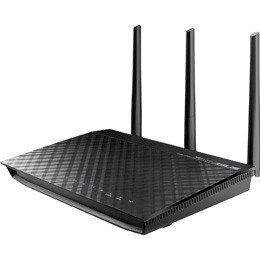 While this router works well in large homes, you may find that your 2.4GHz connections drop less than the faster 5GHz when your device is far from the router. This is because they transmit on longer radio waves that penetrate walls and floors better. (Like AM stations can be heard farther away than FM.) You can leave the router on a table or hang it on a wall. We mentioned earlier that the RT-N66R and RT-N66U are the same router. ASUS uses different product numbers depending on where the device is sold, whether in retail stores or online. Since this is the same router as the ASUS RT-N66R described above, we say compare their prices and get yourself the best deal. Either way, you’re a winner. We’ve arrived at one of the top favorite routers of all time. Although it’s been on the market for a few years it continues to outsell newer models. What makes the TP-LINK Archer C7 so amazing? Let’s take a closer look. 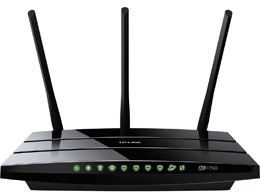 Like the ASUS RT-N66R and RT-N66U, the Archer C7 is a dual-band router. It has both 2.4GHz and 5.0GHz radios. 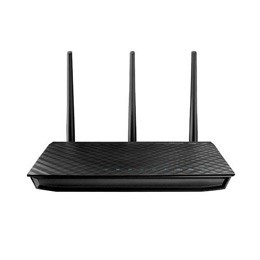 But better than the ASUS routers, this one supports ac as well as a/b/g/n standards. Instead of a Broadcom chipset, it uses Qualcomm’s Atheros. Also like the ASUS routers, TP-LINK included two USB 2.0 ports for a printer and an external drive for file sharing. The four Ethernet ports are all Gigabit, perfect for wiring in a Smart TV or a game console. If you have a small home and don’t want to cover half your neighborhood with its strong signal, you can remove one or all of the antennas. That way you can rely on just the internal antennas. If you’re concerned about speed, the 5.0GHz radio is capable of speeds up to 1300Mbps. That’s because of the ac standard that the Archer C7 offers. The 2.4GHz radio is able to transfer data up to 450Mbps. Plus, you can customize the QoS, or Quality of Service, to give additional speed to certain kinds of connections like VOIP. Create a Guest Network for friends to use, and enjoy one-button-push device connections with WPS. The Archer C7 offers various kinds of encryption including WEP, WPA, and WPA2-PSK. You can also use the router for VPN pass-through with PPTP, IPSec, and L2TP. If you have an ac device such as an iPhone 6 or newer, you can get the most from the TP-LINK Archer C7. If your Internet provider doesn’t offer enough speed for you to make use of the ac standard of 1300Mbps, any of these three routers would be a good choice. They are all solid performers. If you require VPN server capability, go with the ASUS RT-N66R or RT-N66U. The TP-LINK router only offers pass-through. Click here to purchase ASUS RT-N66R on Amazon.com! Click here to purchase ASUS RT-N66U on Amazon.com! Click here to purchase TP-LINK Archer C7 on Amazon.com!